From today on this will be our new king! 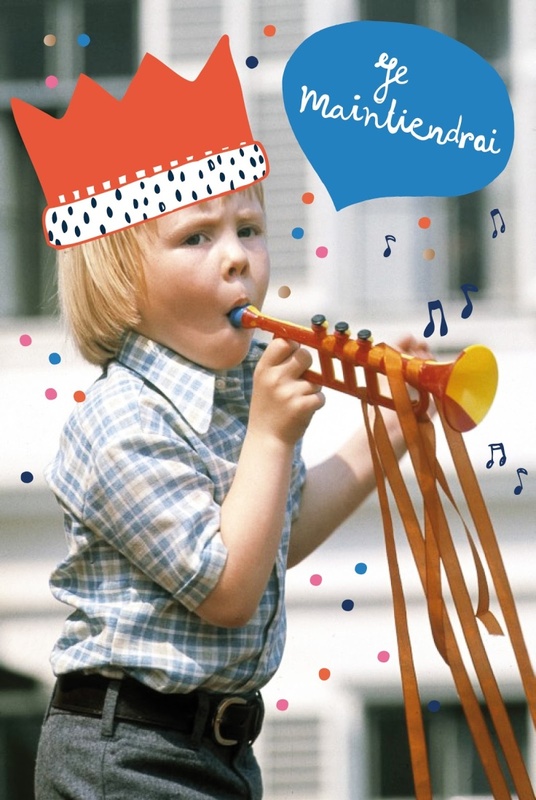 This little fellow (who is 45 years now) will be our national symbol, together with his wonderful wife Maxima. I am not a royalty lover, but I do love my tiny country and I think a little unity might be welcome in these times. Politicians come and go, but our King and our Queen are here to stay. The print on photo is designed by Joëlle from Studio SjoeSjoe. Love it! If only I had a few euro's (like a Thousand) to spend on clothes today, I would do some serious online shopping and buy these two outfits. The Stella Mc. 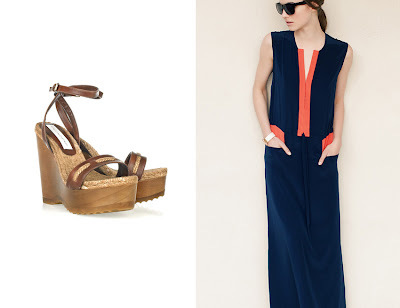 Cartney shoes (actually on sale right now, very tempting) are from The Outnet, the gorgeous dress is from Emerson Fry. 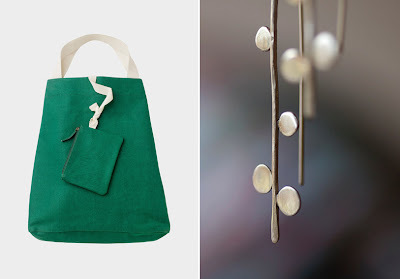 The emerald canvas tote bag comes from my favorite UK store Toast and the earrings (would love to have them in gold) are designed by Maria from the Etsy shop O Bliss. I still regret that I didn't buy the blush coloured Baggu bag above when I was in New York! Then again Baggu was almost my neighbour on the NY-gift fair that I attended. 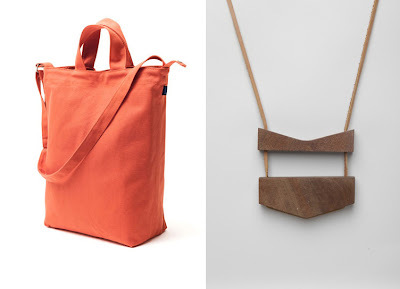 The wooden necklace is not for sale anymore, but if you go over at Totokaelo, you can find dozens of similar treasures! 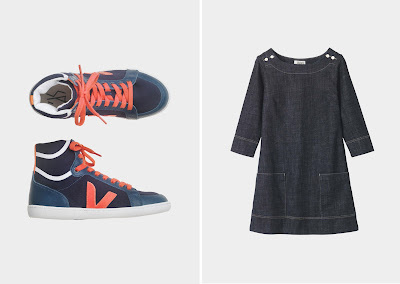 The Veja sneakers and the tunic dress are from Toast. I don't think the sneakers would match with the dress (at least in my size 41 it wouldn't ;-), but I had to show them: they are both eco- and people friendly and they look fantastic! A tribute today, to my number one inspiration: nature! 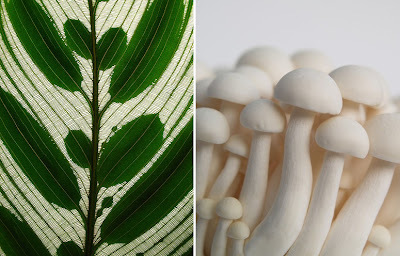 All of the images above can be found (and tracked back) on my 'Nature' Pinterest board...Happy sunday! who designed my new table lamp? Meet my latest purchase from the online second hand market called Marktplaats. For only € 26,- it was mine! I loved the size (the shade is huge! ), the shape, the perspex material and the price! 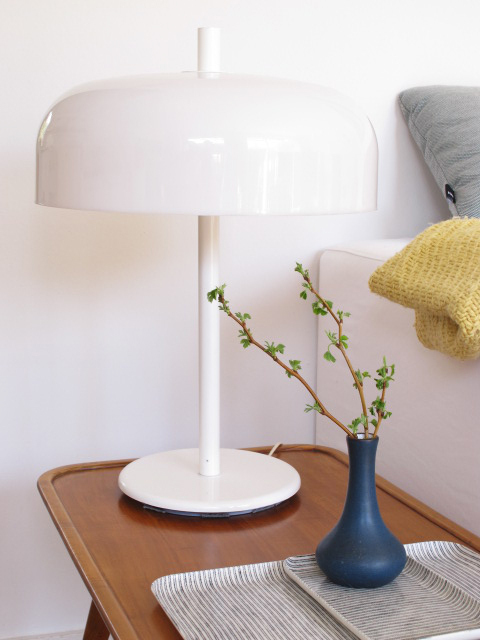 I would love to know what designer or manufacturer produced this lamp back in - what I believe - the late seventies/early eighties. I know it's not a Verner Panton, it misses a certain refined touch. But I am curious if there is anyone amongst you that might have a clue of the origine? I would be happy to hear it! It is already 2 years ago that I started a little series called 'stockist spotlight'. It was great fun to do, but so much work that I wasn't able to do it on a more regular basis. Then again: I'm a designer, a business woman and not a blogger in the first place. But sometimes you meet new stockists that are so special... anyway, I dusted off the whole plan one more time! I met one of the owners of Nannie Inez, Deeyn Rhodes, on the International Gift Fair in New York. She pointed at my pop-up posters and said: hey, I have these posters on a photo that I used for the inspiration moodboard for the store! She looked it up and there it was: a picture of my living room, with pop-up posters all over the wall! Why is your shop called Nannie Inez? Nannie Inez was my grandmother’s name. She was a very meticulous lady and cared very much about her environment being aesthetically pleasing. The way she cared for her home, garden and entertaining is something that I will always hold dear. Lonzo and I have lived away from Texas for over 10 years and moving back to be closer to family made choosing the name Nannie Inez feel very natural. What what kind of shop would you call it? Gift, home, design...? Well, we sort of blur the three categories but I would call it a design concept shop. 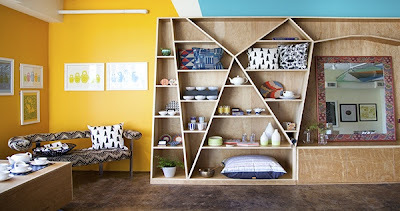 In my mind a concept shop is a place to go to have an experience, see something new and connect with something on an emotional level. 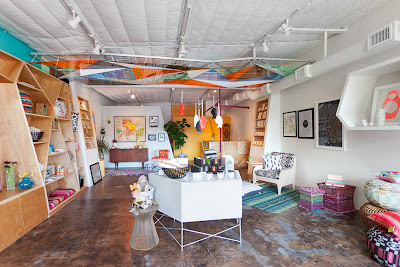 I hope that customers visit our shop and find things they love and have an escape for a bit. I come from a family of entrepreneurs so although I might not have always known what I wanted to do, I knew I wanted to have my own business. I previously worked in fashion for luxury designers and although it was great, I knew I wouldn’t do that forever. A few years ago we had the opportunity to move to London with Lonzo’s job. 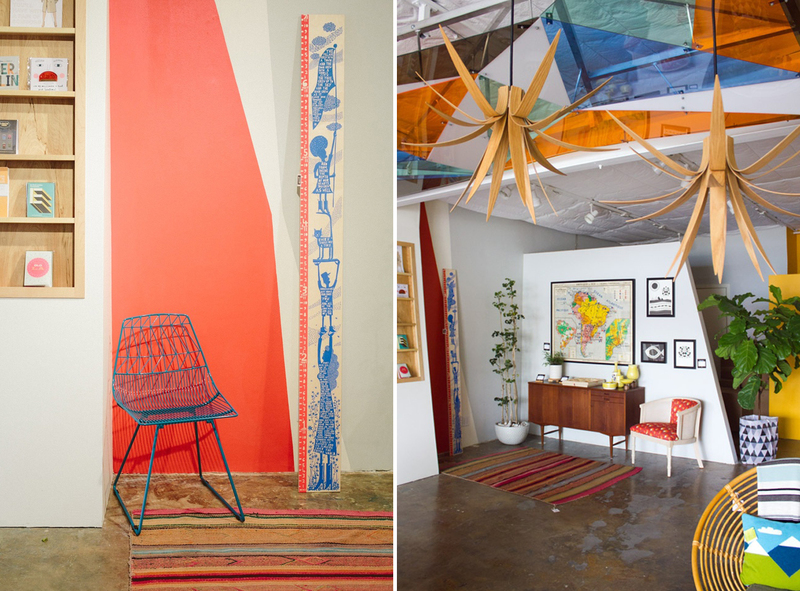 It was in London that we cultivated our love for modern, whimsical design. That is really Lonzo’s specialty. He has a great eye for styling. I love it when he works in the shop because I usually return to a completely remerchandised space. We like to mix styles and don’t identify strongly with one aesthetic. For example my favorite vignette in the shop at the moment is mid century credenza and settee paired with a super modern bright orange powder coated metal side table from Bend, with whimsical pillows by Donna Wilson and a super vibrant Bitmap throw from Zuzunaga. On the wall is a 1950’s French map arranged with Jurianne Matter 3D pop up posters. Displayed on the credenza is a super minimalist planter by Pigeon Toe and a very playful ashtray by Yoshitomo Nara. We do try to arrange things by usage and color story but those our only rules and we are quite flexible with our rules anyway! Oh and plants, lots of plants are a must in our shop. Well, Lonzo and I have just started building our own home a few blocks from the shop and I can’t wait for it to be completed. After moving more times than I care to recall, I look forward to having a real home. In terms of the business, I hope to be well established within the Austin design community with a growing online presence. Lonzo has a woodworking shop not far from Nannie Inez and we hope to start developing more Nannie Inez pieces in the near future. 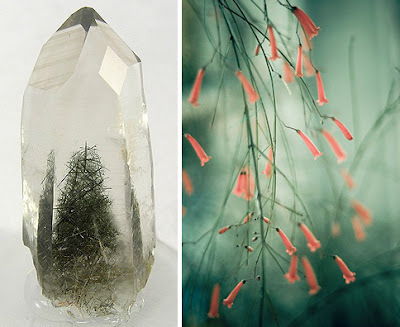 Thank you Deeyn, for your time, for your inspiring answers and your lovely photo's! 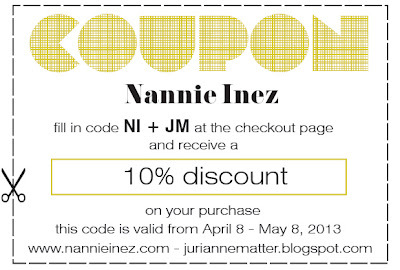 For people outside of Austin: don't forget Nannie Inez has a wonderful webshop too! 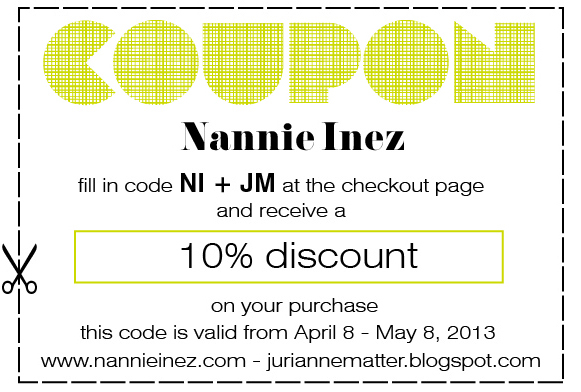 If you go there don't forget to use the coupon-code above (between 08-04 and 08-05) !